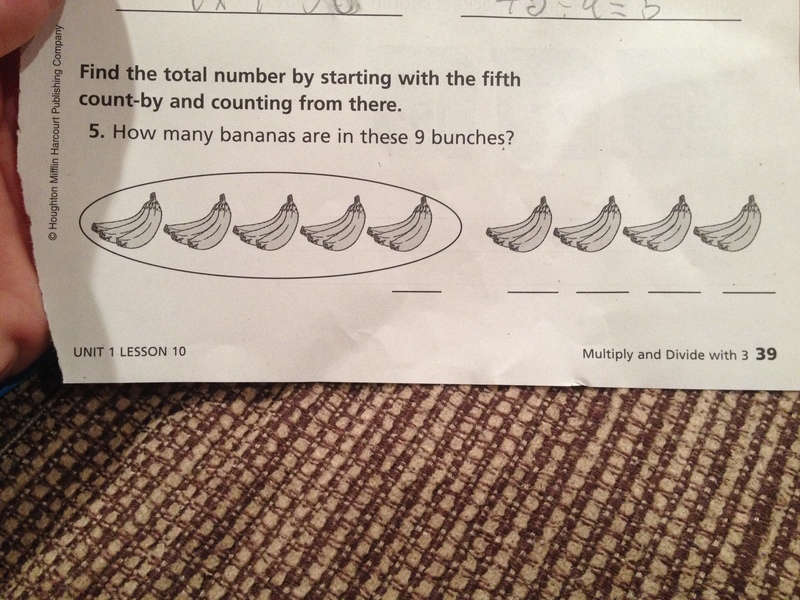 A friend of mine forwarded his child’s math homework to me the other night. His son is a third grader at a great school in the community in which I live. His son’s homework had a problem like this, and both the father and son were at a loss for how to solve it. Parents having a hard time understanding Common Core Math need support from educators as we make the shift together. There are a few important things to note. Number one, the amount of attention “New Math” and “Common Core Math” has received in the media has been non stop and very negative. This leads to parents feeling frustrated with schools for not communicating this new shift in mathematical thinking. In some ways, this is a failure on our school system, but in other ways it is a lesson to not always believe everything we read/see in the media. Much of the information out there is false. For example, many parents ask me, “Why don’t you just teach the traditional algorithm?” We do teach it, but we teach a whole lot of understanding before introducing it so they don’t have to memorize a meaningless set of procedures. Luckily this father is open minded since he did not have a great experience with math himself as a child, and he wants to do his best to learn along with his child. The other thing that is so common when parents are frustrated with Common Core Math, is that they haven’t been taught to think of math as a problem to solve, as a puzzle. Instead they look at it from the angle that there must be only one way. How can you blame them when they were taught math this way? It isn’t their job to learn this new shift in thinking without any support from us. We all go back to what we know, and what they know is that they were taught to memorize. This same attitude is common for children in their math classes as well because teachers are trying to shift to deeper thinking activities for our students. (Sadly, math curriculum/textbook companies in the U.S. is not there yet.) This is a HUGE shift that will take time! It’s okay that you don’t know the answer immediately to your child’s homework. Math is not fast anymore, in fact it should be both slow and messy. Many times there is more than one way to solve it or show your thinking. Ask your child questions like it’s a puzzle that you are trying to figure out together. Try to google your way through it…I was able to solve ratio tables last night with Khan Academy, something I haven’t thought about since middle school. Be open minded and positive about it. Sometimes adult’s (both teachers and parents!) negative attitudes about math will transfer to the student, causing even more stress and anxiety. If all else fails and there is no way for you both to figure it out, write a note to the teacher. 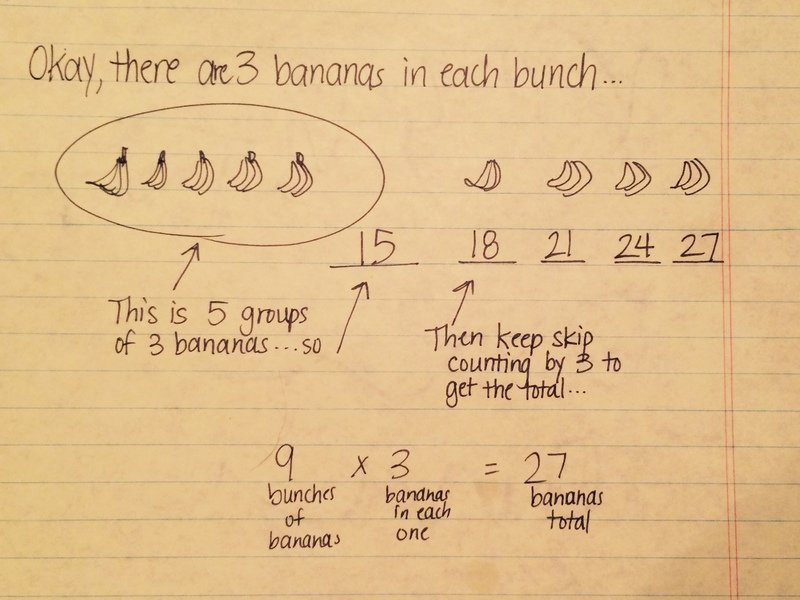 We’ve all had to learn this math differently as well, and we get it! We won’t be upset with your child for not finishing! By the way, here is how I thought about that problem above. If you thought about it a different way, I’d love to know your solution! Parents, keep on advocating for you and your child. We need to know if you don’t understand, and we can all make math meaningful if we learn together. What other positive messages would you like to tell parents so that we can work together?